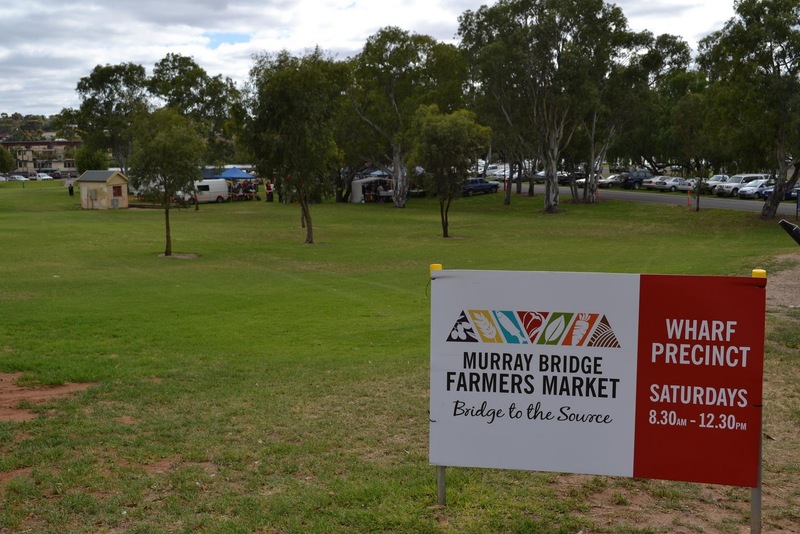 alongside the Murray River at the wharf precinct. 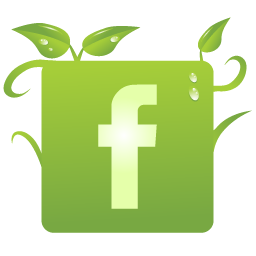 There is a great mix of organic grown fruit, vegetables and produce all locally grown and made. 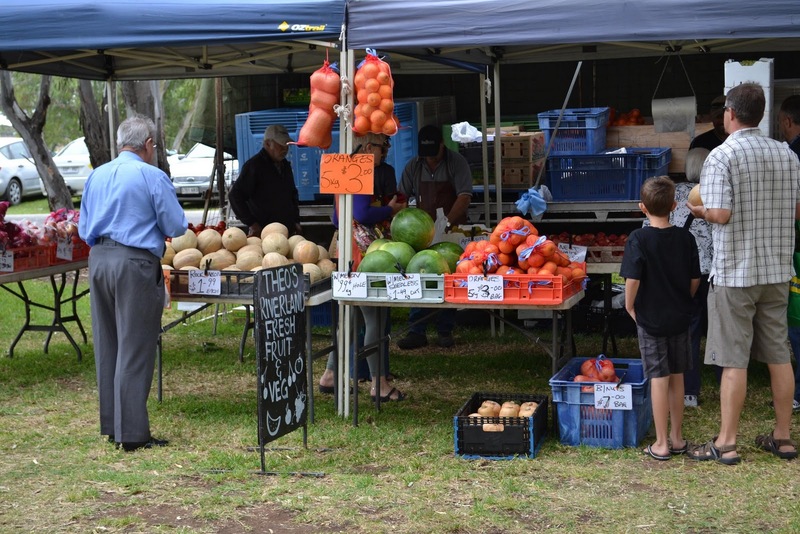 A colourful array of fruit and vegetables tempt you in to each stall. 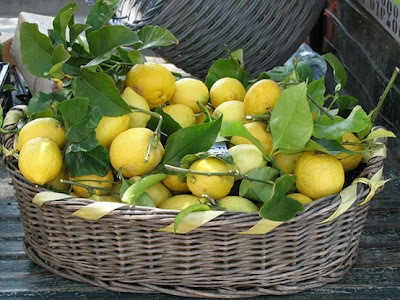 Find a mix of stone fruit, citrus fruit, Jams, pickles and locally made olive oil. 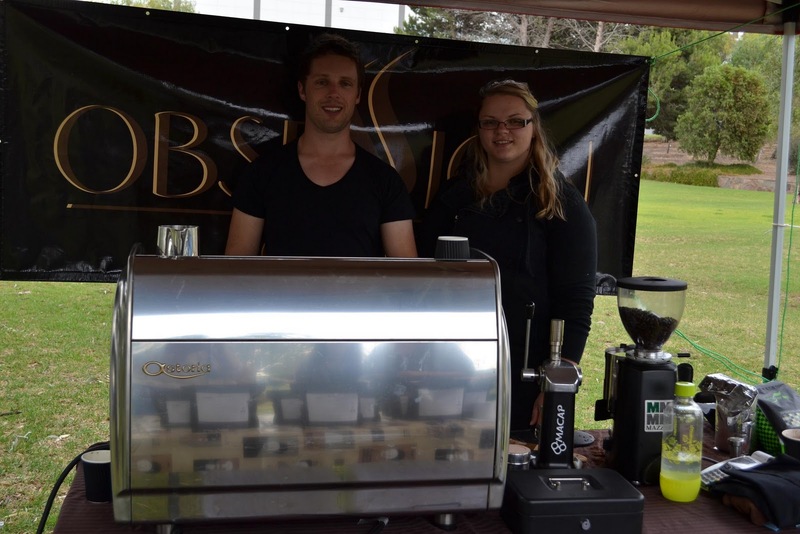 Visit the skilled team at Obsession Coffee and enjoy a coffee or tea while you browse the market. 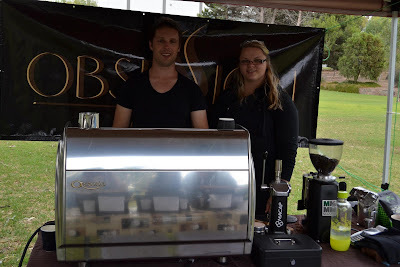 Obsession Coffee is a newly formed artisan coffee roaster based at Mypolonga. 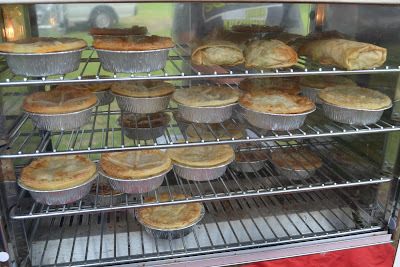 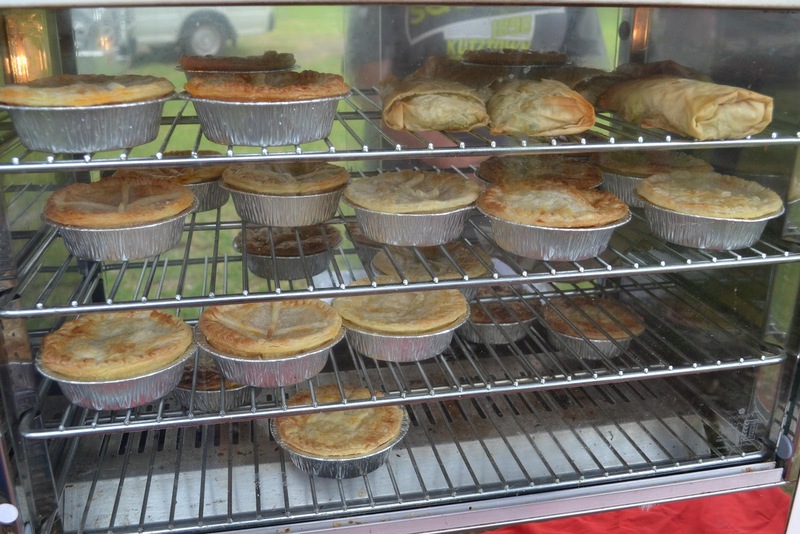 Deb O'Connor brings her cooking skills to the market with an exotic mix of gourmet pies. 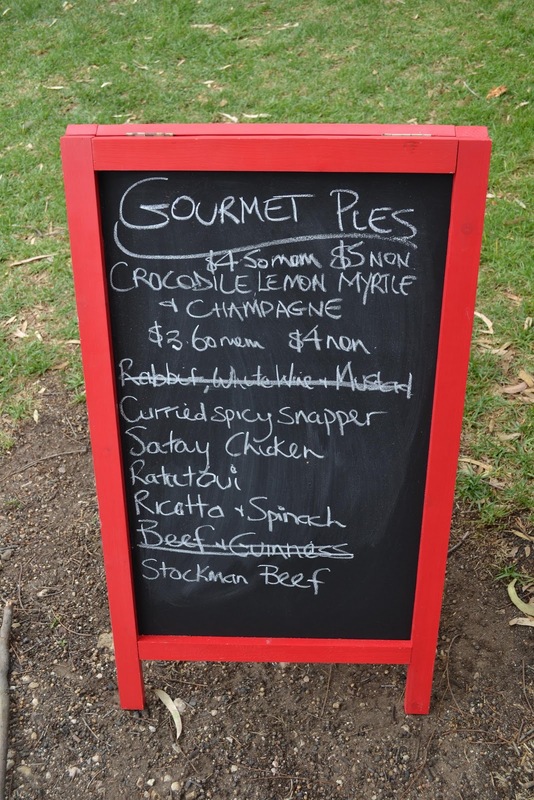 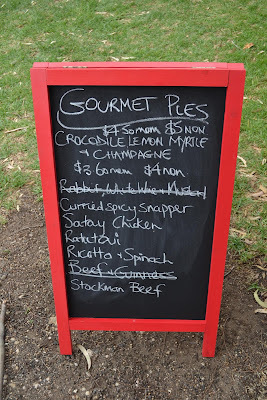 Try a crocodile, myrtle and champagne pie, Syrian Chicken or Spicy curry snapper pie. 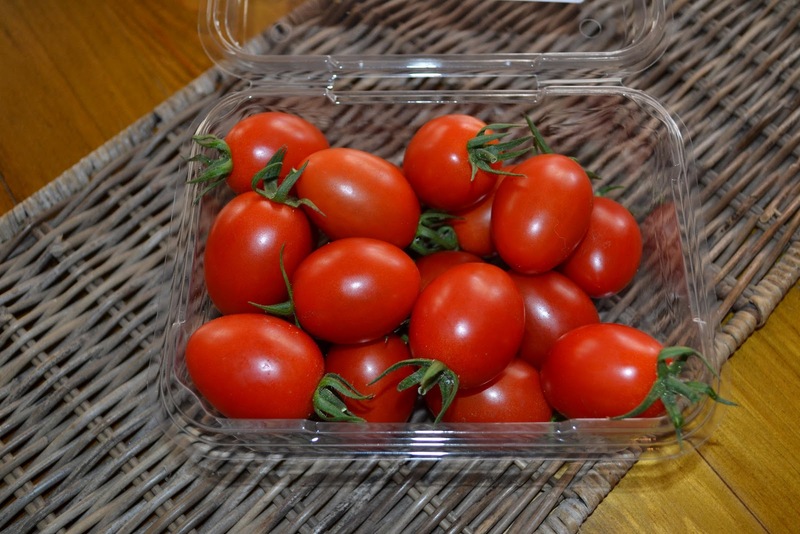 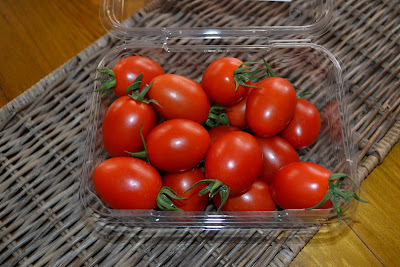 Take home some Flavorino sweet tomatoes and try Oriana's Pasta sauce, made right here in Murray Bridge. The best thing about this market is that you know that the produce is in season, so you know it will taste good. 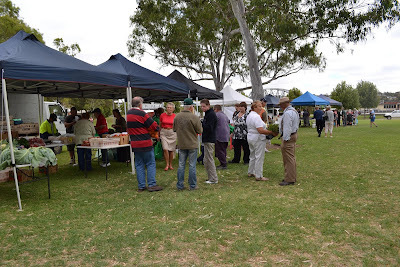 You can visit the market and be inspired to cook, just talk to the stall holders for ideas on how to use their produce. 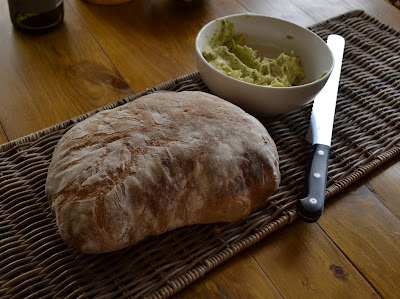 Take home some hand made Italian bread and try Giuseppe's olive oil..